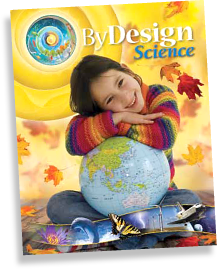 ByDesign encourages children to wonder, question, and learn about God and His creation, and share what they learn with others. The North American Division Office of Education respects your individual privacy. Generally, we collect personal information from visitors to this web site only on a voluntary basis. This data may include name, company, address, phone number, e-mail address, and other pertinent details. Personal information is not required to obtain access to the majority of our site. Any personal information collected is used only to improve our web site and to enhance our working relationship with you. We also collect additional information including IP address (but not e-mail address), visit time, browser version, and pages visited for purposes of cataloging user demographics. This information is not available to the general public. We create one session “cookie” each time a visitor comes to the site to facilitate the generation of dynamic content specific to the user. This cookie is automatically deleted each time the user closes their web browser. The cookie is also used to verify that a user, who has logged in to the AE Professionals section is an authorized user. We do not sell your personal information. We may share your personal data outside the company but only as required by law or to protect the North American Division Office of Education, its customers, or the public with companies that help us fulfill our obligations to you, and then only with partners who share our commitment to protecting your privacy and data. Our web site may contain links to sites of our partners, vendors, affiliates or other concerns that we believe may be of interest to our customers. The inclusion of linked web sites should not be regarded as an endorsement by North American Division of the linked sites or any contents thereof.